I’m showing you how to make my Cumin, Coriander, and Fennel Spiced Turkey Burger recipe. 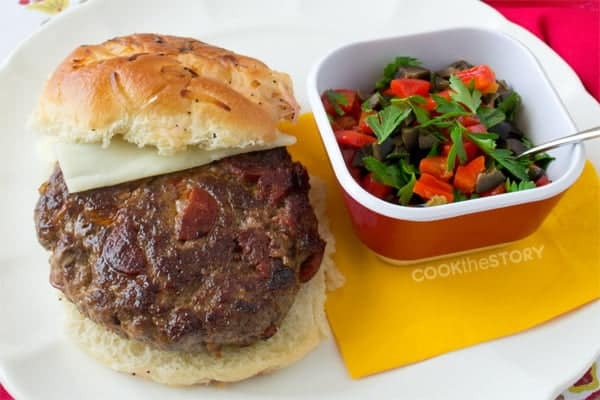 These are simple turkey burger patties that sing with earthy warm spices. If you’ve been paying attention, you’ve probably noticed that I’ve been on a big burger kick. First I brought you a beef burger patty with chorizo mixed right in with the beef. Then I brought you one with bacon mixed right in. It seems I’m in the mood to add things to burger patties. I remembered that toasting whole spices, and grinding them in my mortar and pestle adds some serious flavor. I thought this would be perfect for mild turkey meat. So I decided to add my fragrant spice mixture to this turkey burger recipe. I’m not always a “toast your own spices” evangelist. I often find that I can’t tell the difference, especially in a lot of the basic stews and soups that I make. Even when I’m veering into Indian food, I have to be in the right mood to get out my mortar and pestle. But for this turkey burger recipe, it really does make a difference. 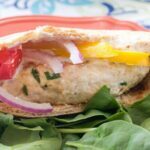 The ground turkey has such a mild flavor and the accompaniments I usually serve with the patties (pita bread, bell peppers, tomatoes, red onion and Greek yogurt) are mild as well. 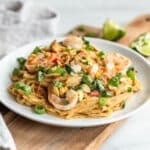 The smokey more nuanced flavors in the spices flutter over the everything else making this into a recipe that your friends and family will ask you for again and again. (No need to write it down for them though. Just send them here. They can print the recipe below). 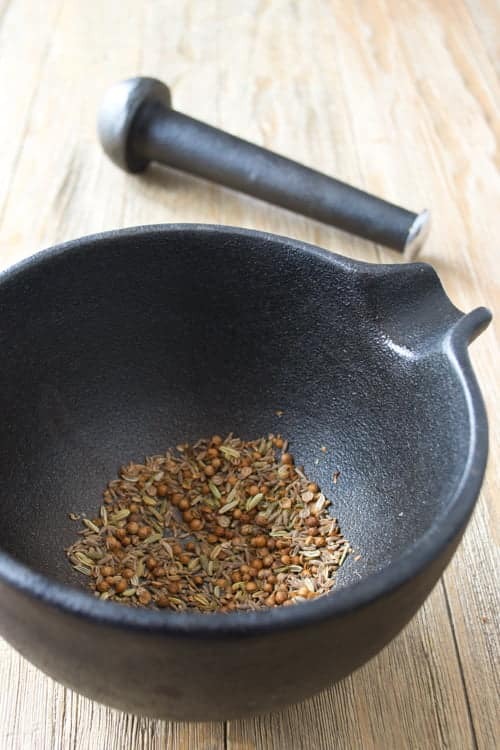 Measure the cumin, coriander, and fennel into a small dry frying pan. Set it over low heat and cook for 5-7 minutes or until very fragrant, stirring occasionally. Transfer the spices to a mortar. Grind them with a pestle until the pieces have the size and texture of coarsely ground black pepper. In a large bowl combine the turkey, breadcrumbs, parsley, salt, and egg. Do not over mix. Divide mixture into 4 patties of equal size. Warm the oil in a large skillet over medium-low heat. Add the turkey burger patties and cook until the underside is very brown, about 4 minutes. Flip them over and cook until the second side for 4 minutes. Flip them back and cook for another 2 minutes. Cut into one patty. If it is still pink in the center, flip and cook for 2 more minutes. If not, transfer to a plate and serve. This post originally appeared in August, 2013 and was revised and republished in June, 2018. This is the first time a fresh turkey burger/patty has actually turned out for me. And not just turned out, but turned out delicious. Wow!!! The toasted spices added into the meat really make it tasty. Tasted awesome with the Greek yogurt, onions, and tomatoes. This was also fairly simple to make for me. 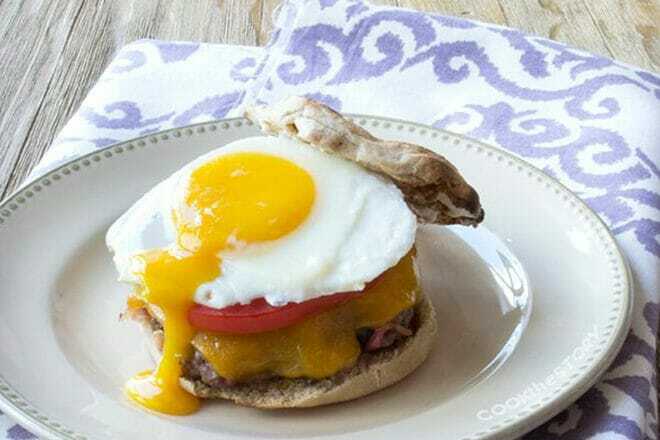 A really nice diversion from the usual (frozen) turkey burger/patty meal with ketchup. Even my picky husband loved it. It was even good as a leftover!!! Loved it. Will definately make again. 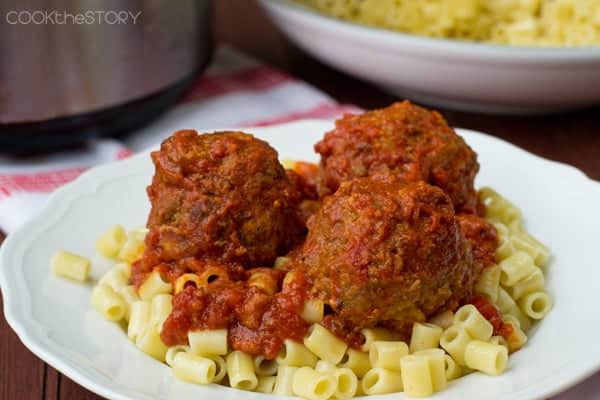 I make something very similar minus the bread crumbs–and they are SO good! I never thought of serving them in pita, so now I know what I’m doing next time! Great spice combination. I have to admit I don’t toast spices often enough. I see a good reason to do so with this recipe. 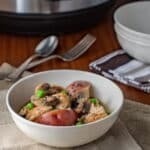 I eat turkey throughout the year and always looking for new way to cook it. Patties in a pita with those toppings is a winner! 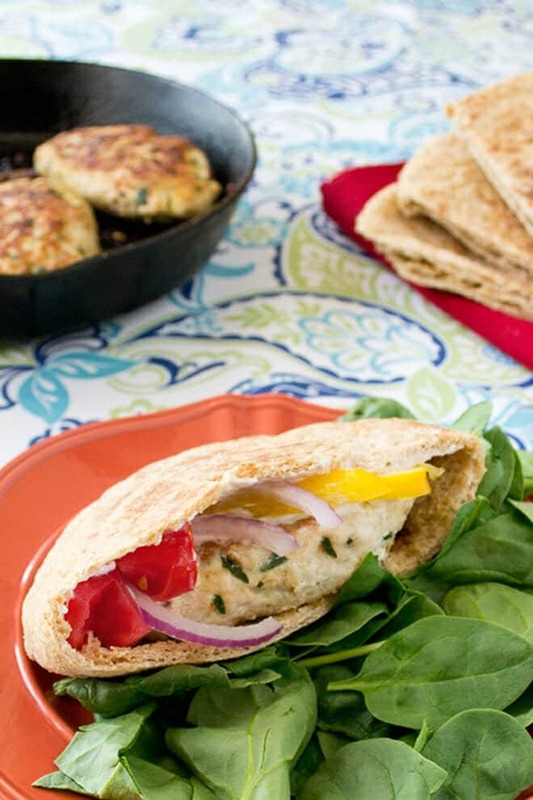 Trying to eat healthier doesn’t mean losing out on flavour and you prove that with with these turkey patties. Yum. 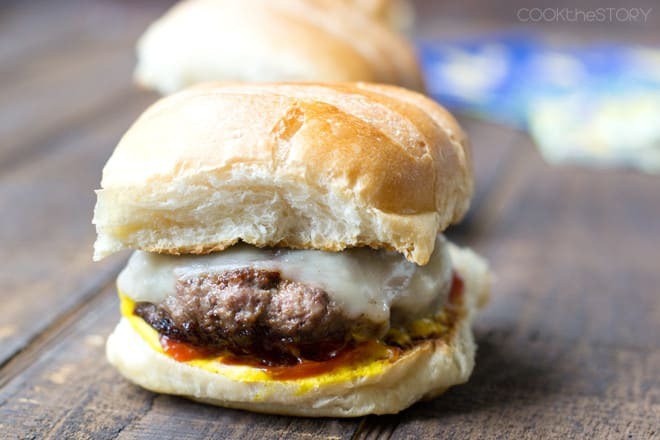 A zesty way to spice up a turkey burger! Love it! I need to drag out my mortar and pestle more often! I love a spicy patties, Christine, especially if you are going to stuff them in a pita, rather than sticking them between too big, bready buns. Let the meat shine through, I say! Here, with the help of your freshly roasted, freshly ground spices, it really does. Beautiful! Oh, my, Christine, your turkey burgers are beyond! Love the touch of Greek yogurt as a garnish, too…And very much admire your diligence in grinding the spices with your mortar and pestle. I´m defrosting chorizo and ground meat to make burgers this week. This idea of seasoned turkey sounds much healthier! I really should make it soon. How delicious, Christine!!! I love the sound of the toasted spices you’ve added to your ground turkey. What a delightfully spicy burger! Any girl that grinds her own spices is a girl after my own heart. This is the perfect light meal for summertime (okay, anytime really)! I love the spices in there, and I just know they really kick that turkey up a notch. Yeah for turkey burgers! I’ve been using ground turkey more and more lately, trying to cut back on the ridic amount of beef we eat in my house. 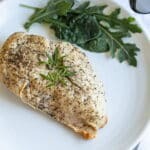 This looks like the perfect addition to that rotation- I love your spice blend. Yum! I am drooling here and I want your spicy turkey burger!! Sounds like my kind of food, thank you for sharing! I love using coriander and cumin for a kick! I use those spices quite often! Your pitas look great!